VLC is a free and open source multimedia player available for multiple platforms, including Windows and Mac. 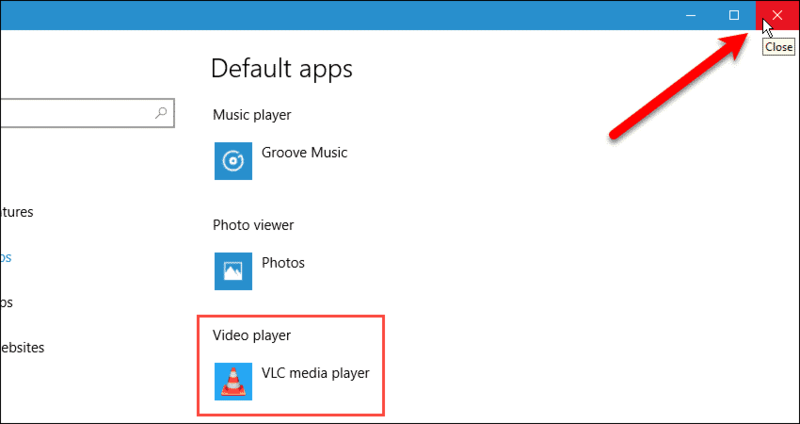 When you install VLC on Windows or Mac, it doesn’t become the default player automatically. However, you can play videos with VLC by default by changing some simple settings. VLC plays everything from files, discs, webcams, devices, and streams. It also plays most codecs, like MPEG-4, MP3, and WMV, with no codec packs needed. However, be sure to install VLC first. If you don’t, it will not be available to choose as the default video player. 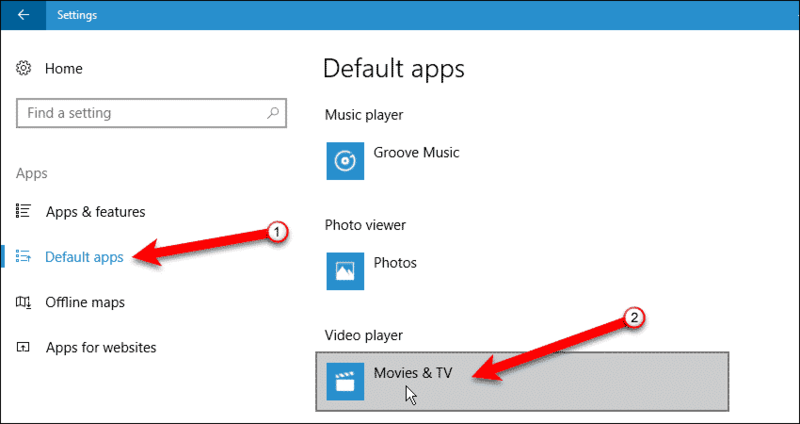 To play videos with VLC by default on your Windows PC, open the Start menu and click the “Settings” (gear) icon. 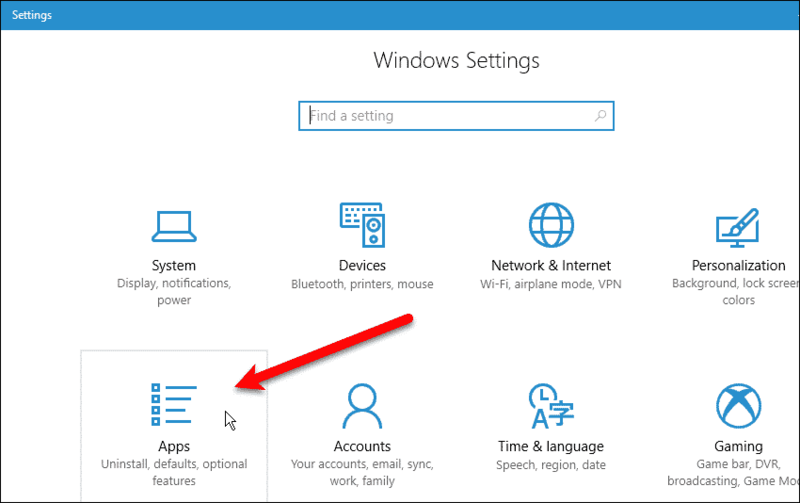 On the “Windows Settings” dialog box, click “Apps“. Click “Default apps” on the left, and then click the item under “Video player” on the right. It most likely reads “Movies & TV“, if you’ve never changed it. 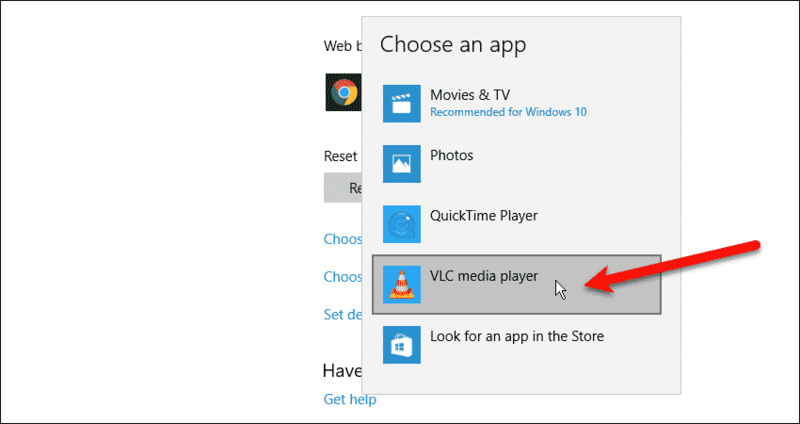 On the “Choose an app” dialog box, click “VLC media player“. If you don’t see “VLC media player” as an option, make sure VLC is installed. VLC is now listed as the default video player. 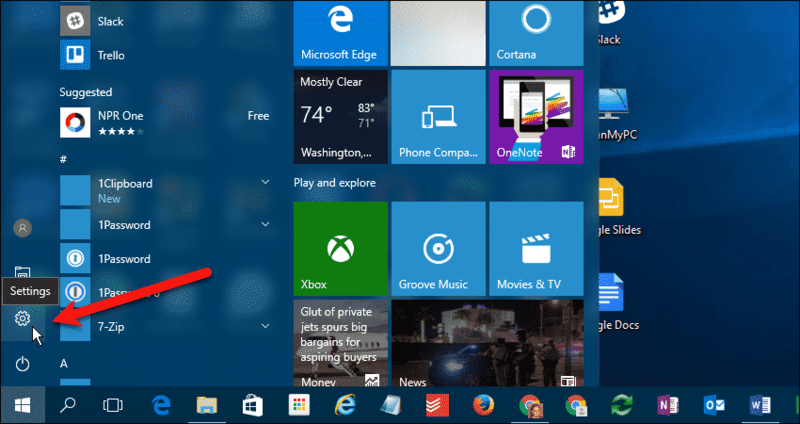 Click the “X” in the upper-right corner of the “Windows Settings” dialog box to close it. 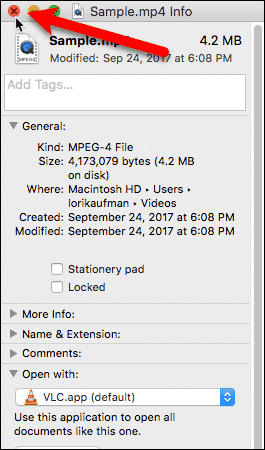 You’ll now see “VLC media file” as the file type on video files, and the icon will be the VLC icon. You can double-click on the video file to automatically open and play it in VLC. 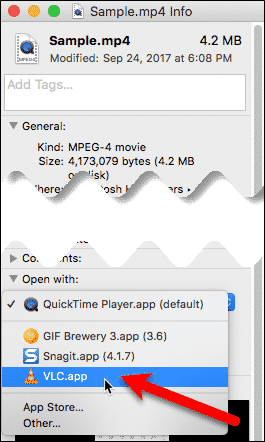 The default video player on your Mac is QuickTime Player. 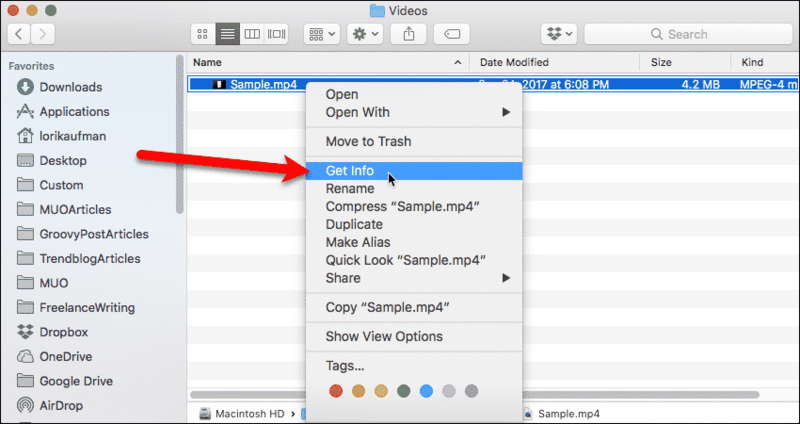 To play videos with VLC by default on your Mac, find a video file, like an MP4 file, and right-click on it. Then, select “Get Info” from the popup menu. On the “Info” dialog box, select “VLC.app” from the “Open with” drop-down list. If you don’t see “VLC.app” as an option, make sure VLC is installed. Then, click “Change All“. This will open all files like the currently selected file using VLC. 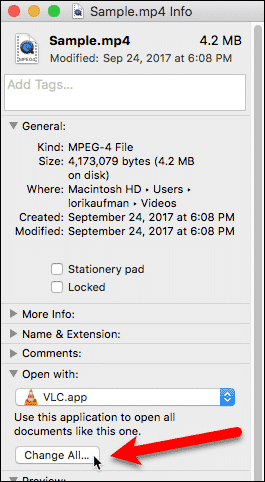 A confirmation dialog box displays asking if you really want to change all similar documents to open with VLC. Click “Continue“. Click the “X” button in the upper-left corner of the “Info” dialog box to close it. 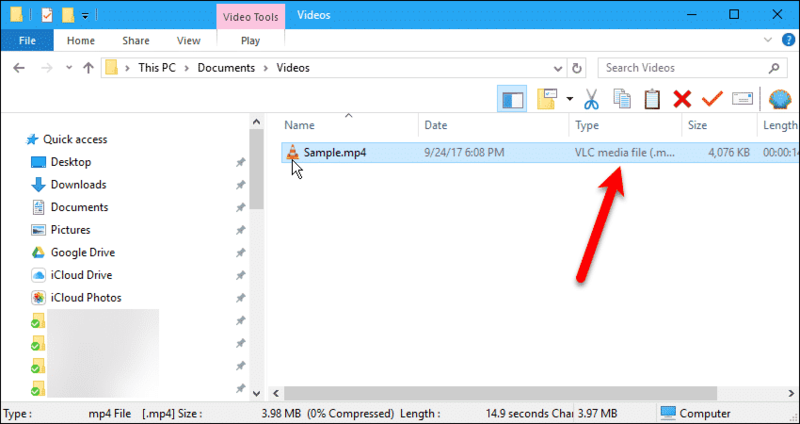 Now, you can double-click on the video file to open and play it in VLC. Do you use any other video players in addition to VLC? Which ones? Share your thoughts with us in the comments below.